They say that lightning never strikes twice in the same place. Not true. It does if you stand high atop a cliff’s edge waving a lightning rod above your head during a thunderstorm. In fact, in the unlikely event you survive the first strike, it’ll keep right on striking until you climb down. So-called “gun-free zones” are lightning rods for mass murder. It’s time we climbed down from the cliff’s edge. America mourns yet another needless and preventable mass shooting at Fort Hood, Texas. When will gun-grabbing liberals learn? “In 2009 Islamist killer Nidal Malik Hasan, a U.S. Army major and psychiatrist, fatally shot 13 people and injured more than 30 others at Fort Hood, Texas. Fort Hood was a gun-free zone. “Barack Obama termed this Islamic terrorist attack ‘workplace violence.’ Complete lunacy. “After the first mass killing nothing changed. Fort Hood is still a gun-free zone. President Bill Clinton’s gun-free policies are still in place. “Today there was another mass shooting at Fort Hood. Soldiers were told to take cover and hide like cowards as a crazed gunman shot at least 14 Americans on base. The shooter, Ivan Lopez, then shot himself in the head. “These deaths are the result of failed policies. These deaths are the result of a dangerous ‘gun free zone’ policy. “The Obama administration is responsible for this mass shooting. They witnessed this before. They didn’t learn a thing. 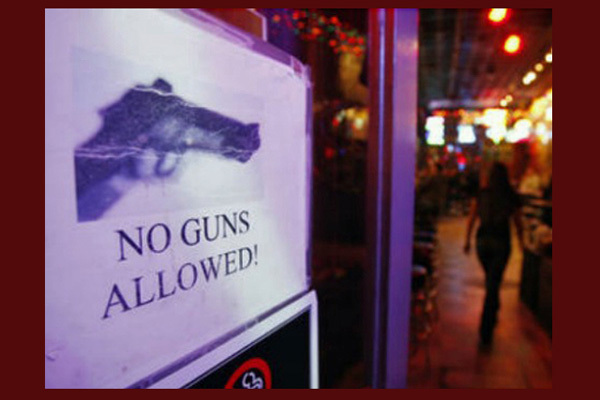 Gun-free zones are death zones,” concluded Hoft. Of course, no one but Ivan Lopez is responsible for his own horrific crimes. Still, this Obama administration is likewise responsible for its own criminally horrific incompetence. This president is undeniably culpable. His reckless insistence upon preserving this obtuse, liberal ­ but I repeat myself ­ gun-grabbing policy rendered defenseless, once again, the fine servicemen and women of Fort Hood. It kept in place the same mass-murder-rich environment in which Nidal Malik Hasan committed the first Fort Hood “fish-in-a-barrel” soldier hunt. And the only people surprised are you gun-control nutters. Here’s the thing about liberalism, which is really cultural Marxism, euphemistically tagged “progressivism”: It’s never worked and it never will. It can’t. It’s a material impossibility. “Progressivism” can no more work than can one answer a nonsense question like, “How big is blue?” As with all similar such humanistic efforts to achieve a man-made earthly utopia, “progressivism” is a hopeless non-starter. Why? Because “progressivism” is utterly detached from reality. There’s truth, and then there’s “progressivism.” Central to every single “progressive” policy, without exception, is the fatally flawed denial of the existence of sin ­ of man’s fallen nature. There’s also a stupidly stubborn refusal to acknowledge the reality of moral absolutes. “Progressivism” is built upon a utopian, relativist house of cards; and when that house comes crashing down, the results are often deadly. This past Wednesday America witnessed liberalism’s deadly results first hand. A public policy that intentionally disarms American citizens ­ much less American soldiers ­ is a policy that creates a pond full of sitting ducks; this, whether we have a terrorist behind the trigger, or a government with designs on tyranny. Might some of those beautiful souls have still died before one or more well-armed good guys could take out the well-armed bad guys? Perhaps. But how many precious lives could have been saved? Albert Einstein famously quipped that the definition of “insanity” is “doing the same thing over and over again and expecting different results.” In that sense, “progressives” are insane. Or, if not exactly insane, they’re certainly no Einsteins. I’ll admit that many “progressives” are generally well-meaning and decent people. I even have a handful of “progressive” friends who’ve yet to see the light. I love ‘em, but they still want what they can’t have, at least not until that glorious last trumpet sounds. They want heaven on earth. It’s not for lack of sincerity that “progressives” are destroying America and putting lives at risk. It’s for failure to grasp reality.